I'm incredibly excited to be facilitating this Standards and Assessment training in western Kentucky next week for about 10 health teachers. In fact, two are grade level teachers from the elementary level! It's the first time I've offered this workshop in about 4 years and it's been completely overhauled. With state Departments of Education holding schools and districts accountable for student growth and enduring skills as well as teacher effectiveness, this training, originally developed by RMC Health has been revised quite a bit. 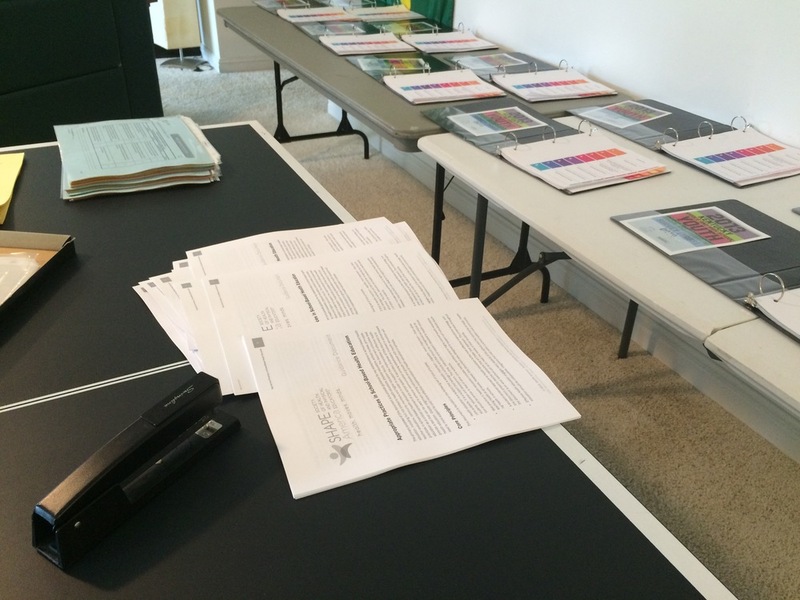 Preparing the 2" Standards and Assessment notebooks together, a resource given to all participants. This 2-day training brings educators teaching health education through a process in which they will become extremely familiar teaching to the National Health Education Standards, developing end of unit performance assessments and creating a plan for assessing enduring understanding of student knowledge and skills in health education. Over 20 different teaching strategies will be modeled. Educators will leave with many ideas for lessons, units and ways to engage their students for mastery of health education skills and knowledge. · Identify strategies to implement a standards-based program for a variety of students. Stay tuned! I will post after this training with an update and photos from the workshop. Follow along via #KYSHAPE on Twitter!